Back in January, I posted about the resignation of Boulder City, NV Police Chief Bill Conger in the wake of a scandal that followed his refusal to pursue animal cruelty charges against the city’s former animal control supervisor. 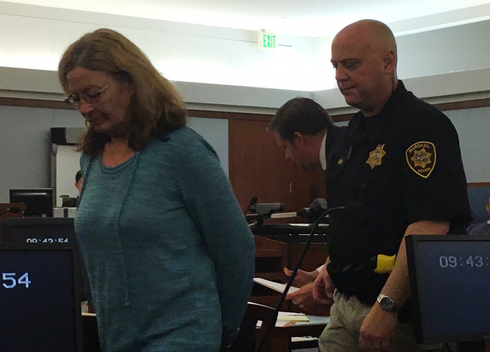 A criminal investigation by detectives had uncovered evidence that Mary Jo Frazier had unnecessarily euthanized dozens and possibly even hundreds of healthy animals over the course of years, including many that were pets. Part of the findings within that investigation were statements from animal control employees that Frazier had killed the animals for fun. In April of 2015, detectives presented the case to Conger with the recommendation that felony animal cruelty charges be filed against Frazier. In spite of the extensive evidence and the outrageous nature of the acts involved, Chief Conger chose to close the case without charges and allow Frazier to resign from her position. As I reported in that previous post, Conger was forced to resign as police chief in January, a month after that decision was made public in local media. In addition, Frazier was subsequently charged with two counts of animal cruelty by the district attorney. Now Conger himself is facing misdemeanor charges of “failure to perform a duty”over his initial inaction and allegations that he was aware of it even before then, but covered it up. Testimony from a detective and a sergeant involved in the case indicates that Chief Conger instead wanted to use the potential charges to pressure Frazier into resigning, in order to keep details from becoming public and implicating him, as well. Conger told the Boulder City Review he was represented by attorney Tom Pitaro. Pitaro could not be reached for comment. Conger has said he opened the April criminal investigation into Frazier as soon as he heard allegations about her. Boulder City police staff contradict that claim. Animal Control Officer Ann Inabnitt testified she went to Conger in spring 2014 after she saw Frazier use the shelter to brutally kill Frazier’s own dog, according to grand jury testimony from the criminal case against Frazier. “People get in trouble and resign all the time,” Conger said. Conger is scheduled to appear April 19 in Boulder City Justice Court. As I also have reported in previous posts, Chief Conger became the police chief in the first place because his predecessor, Thomas Finn, was fired for instituting a policy of deliberate harassment toward bikers attending a rally in the city, which is located just south of Las Vegas, and then instructing Boulder City police officers to destroy evidence relating to the harassment campaign. Former Chief Finn was also ordered to pay the attorney for those bikers’ lawyer, Stephen Stubbs, damages for frivolous lawsuits that were filed for punitive purposes and as intimidation against Stubbs.